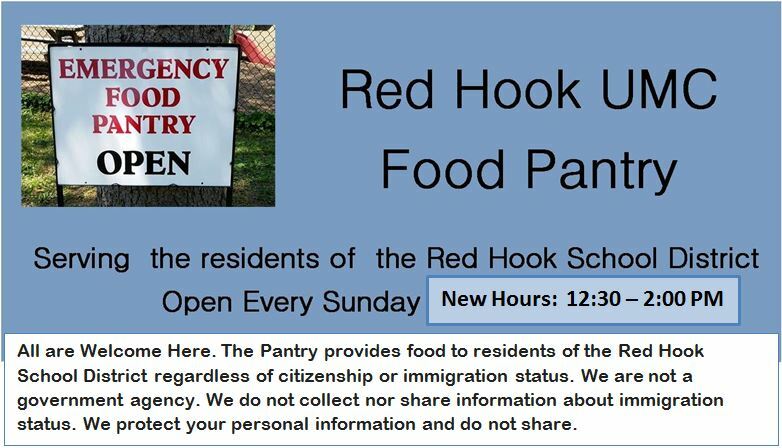 on Sunday afternoons for Residents of the Red Hook School District. Pantry Hours are Sundays 12:30 – 2:00 pm. 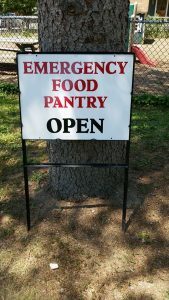 Donations can me made during that time or on Wednesday evenings, 7 – 9 pm. The entrance is at 4 church Street at our Educational Wing. We practice Client Choice. You decide what you need. Questions ? Would like to Volunteer ? Make a donation ?